The project will restore many buildings that form the temple courtyard dating back to the Lichhavi period 1,300 years ago. There are also plans to install a self-supporting cultural museum that will generate income for the upkeep of the site. “The project will not only preserve of one of Nepal’s most unique architectural monuments, but it will also include a comprehensive permanent display of ethnographic art including demonstration, recording and training of traditional Nepali art processes,” said the US Embassy in Kathmandu which is supporting the project through its Ambassadors Fund for Cultural Preservation (AFCP). 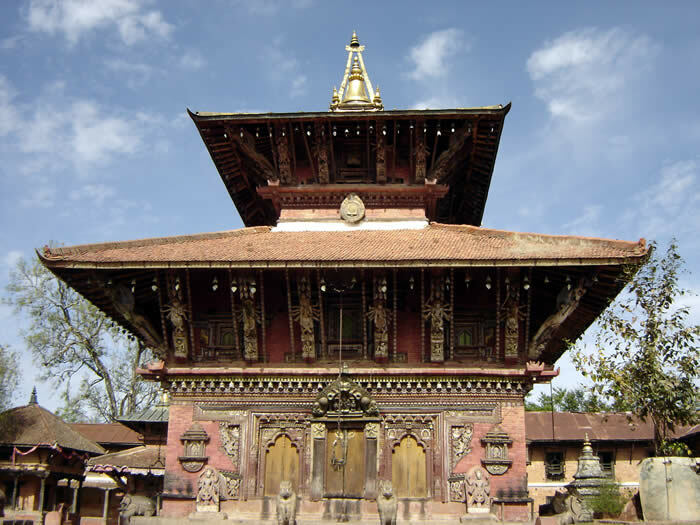 Over the past nine years, the U.S. Government has committed $1,434,851 dollars to restore and preserve eleven cultural sites throughout Nepal including the restoration of Kal Bhairav and Kageshwor Temples in Kathmandu’s Durbar Square, restoration of Nag Bahal Hiti in Lalitpur, renovating ancient Buddhist /chhortens/ in upper Mustang, and continuing the restoration of Patan Durbar Square in Lalitpur and ancient monastery in Pangboche, Solukhumbhu.